Last week I took my first solo road trip in almost three years. I spent a lot of time deliberating about whether or not I should take the road trip at all, the usually factors came into play. I didn’t have the money, I should be spending my time on more important projects, and then of course circling around back to the fact that I’m kind of broke at the moment. I wanted to take this trip but at the same time it didn’t feel responsible, so for a week I went back and forth about what to do. I should back up a little, in those weeks leading up to the road trip I endured rejection after rejection from jobs I’d interviewed for, to collaborations I’d pitched to companies I admired. I was definitely going through a phase of “what the F am I doing with my life??”. So even though a road trip the length of California didn’t feel financially responsible, it felt mentally responsible. I needed to get out of my own head for a little bit, and get lost in the beauty of this gorgeous state. So even though I was feeling lost, the right direction for me was to go, get out and explore. I needed to go and have some new experiences and collect stories to write about later, I am a blogger after all. 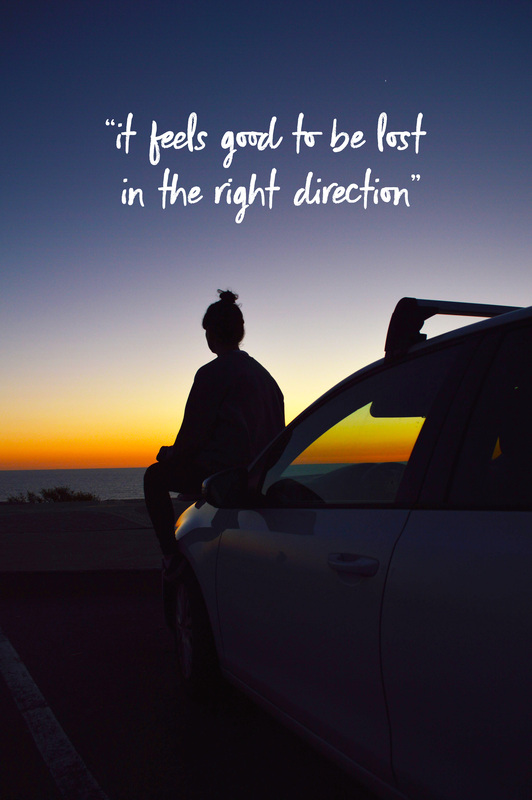 A road trip definitely was not the “right answer” to my problems, but it was the right direction. I came home feeling refreshed and more focused. Sometimes you have to get lost to find your way. 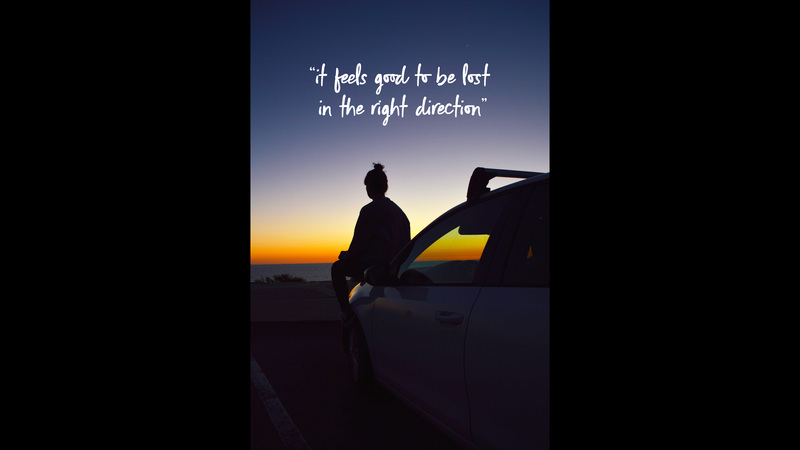 If you are feeling lost the best thing to do is to pick what feels like the right direction and go for it. For continued inspiration you can download this image for either your computer desktop or to print if you want to hang it up in your house! Sometimes you just need to get out of your day-to-day life and get a change of scenery. I’m glad you came back from your trip feeling refreshed! It’s so true, a change of scenery can do wonders! Thanks for reading! Couldn’t agree more! Glad you were able to do it though and have that time for yourself. So important to reach out of our comfort zones too! Always helps gain new perspectives. Thanks so much Kana! Sometimes the seemingly ridiculous or irresponsible choice is the best one. Thats awesome that you made such a big move when it didn’t seem like the best idea! Rock on! Absolutely love the quote “it wasn’t financially responsible but it was mentially responsible”. Oh how many times I’ve been there!! And it’s always worth it and things always have a way of working themselves out!! Great post ! !